Dorothy Gibson was a pretty big deal in her time. 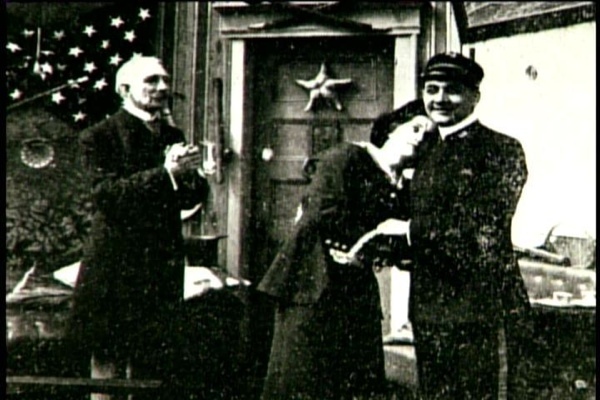 A star of the silent-screen, alongside such luminaries as Buster Keaton and Charlie Chaplin, the first class passenger was a household name by the time she stepped on the Titanic. She had become popular as a comedienne in Miss Masquerader (1911) and Love Finds a Way (1912). But out of the 1,502 people to perish on the vessel, Gibson survived to tell the tale. Well, not just tell it, to star in it as well. Saved From the Titanic, began filming just five days after the Titanic sank. It was a hugely successful silent movie and the first of many hit Titanic films (although all reels of the movie were destroyed in a fire in 1914). Gibson even wore the same clothes she was wearing on the ship on the day of the tragedy in the movie—a dress, sweater, gloves, and black pumps. Eventually, however, another shadow of the 20th century would be cast over Gibson. After a relatively short film career she moved to Europe. Although she was at first a Nazi sympathizer, by 1944 she had denounced her involvement with the Third Reich. Her subsequent arrest by the Nazis and brief imprisonment at San Vittore would lead to her death two years later—at the age of 56, after a cardiac arrest. At the point of setting sail, Captain Edward John Smith was a 37-year veteran making what he planned to be his final crossing of the Atlantic. He’d served with the White Star Line for 28 years but the truth is, Smith was probably not the best man to have at the helm. Smith had spent the majority of his sailing life manning sail ships, and the odd steamer here and there. At the age of 62, the old sea-dog wasn’t up for learning new tricks—and his lack of experience showed when he commanded the crew to stay at 22 knots (full speed) when entering an area notorious for icebergs… and we all know how that ended up. In fairness to the man, he did go down with his ship but his final hours onboard remain shrouded in mystery. Many eyewitness accounts record the ‘millionaire’s captain’, as he was known to some, going to pieces, losing confidence and being rather bewildered by the whole ordeal. It is well recorded that no only were there not enough lifeboats on the Titanic to save every passenger but that they were not as full as they should have been when they disembarked from the ship (Lifeboat 1 was by far the worst, only carrying seven crew and five passengers, a total of 12 people, despite having the capacity to carry up to 40). 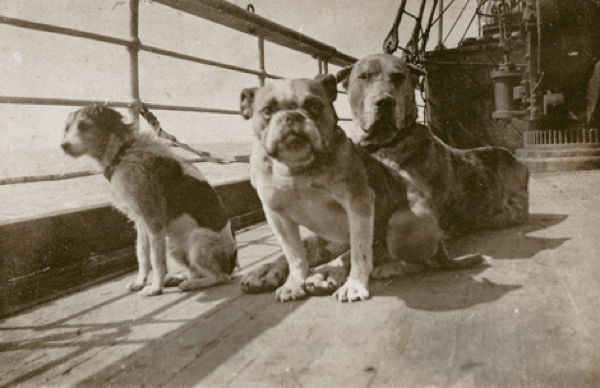 However, what isn’t known is that amongst the 713 survivors there were also three dogs—two Pomeranian and a Pekinese to be exact. Twelve dogs were recorded as passengers but only three made it off—in lifeboats. As the Titanic sank the usual distress calls were sent out. But nobody answered until it was too late. What few people know is that somebody could have answered. Namely the captain of The SS Californian. Only eight to fifteen miles away when the Titanic struck the iceberg, the Californian did not react to mysterious lights in the night sky (what were in actual fact SOS flares of the larger ship). 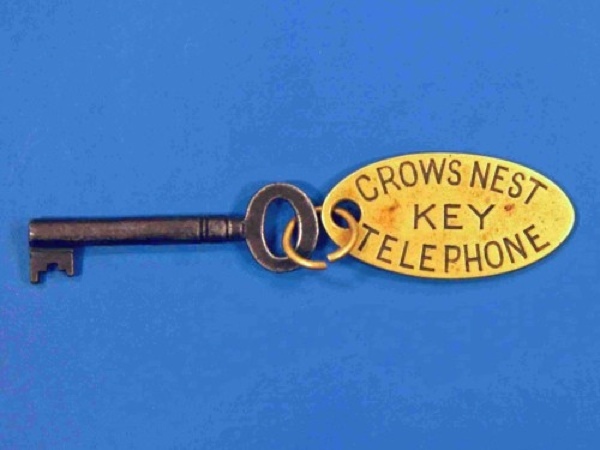 The crew woke up the captain, but he went back to bed stating that the wireless (radio) operator had already turned in for the night—the reason the Titanic’s distress calls were not heard over the radio. Another ship, the Samson, a 250 plus ton schooner of Norwegian registry, was apparently even closer—only five to eight miles. However, some theorists believe the Samson wouldn’t have answered any calls—distressful or not—for the simple fact that they were partaking in illegal seal hunting. 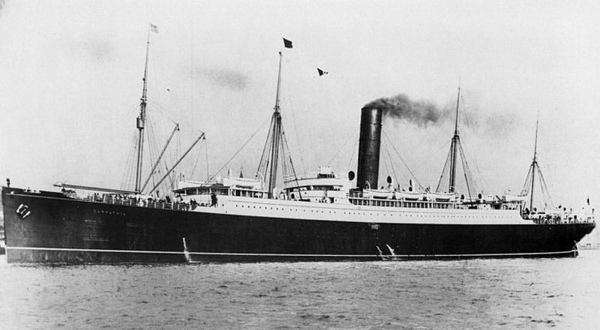 Both ships were closer than the Carpathia—the ship which would eventually rescue all the survivors of the Titanic. Despite being surrounded by water, it seems that on the actual ship there really wasn’t that much to go round. Long before the days of power showers, people had to rely on the good old bath tub. 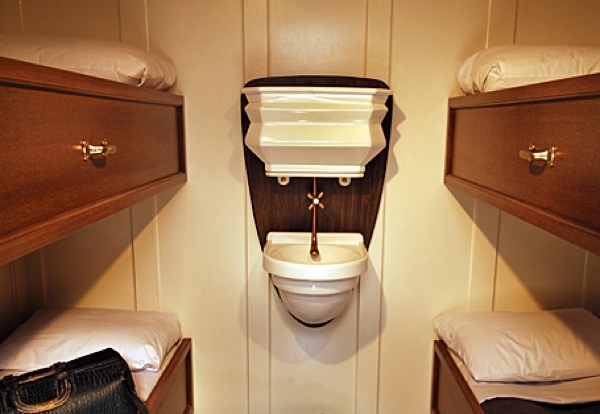 And although sharing them was common practice back in the day, third class passengers had to share two baths, one for men, one for women, between 700 people. That’s right. 700 people. That’s an awfully long wait for a scrub in the tub. 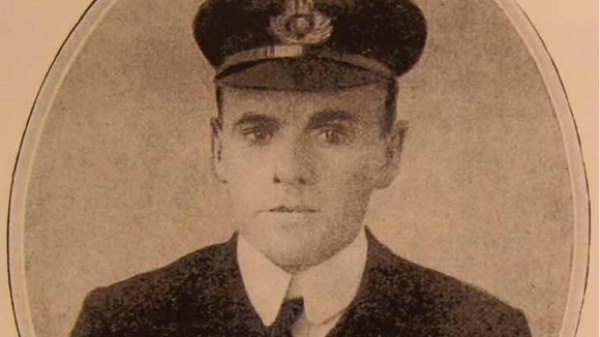 2nd Officer Charles Herbert Lightoller was the most senior officer to survive the Titanic. Taking charge of an overturned lifeboat, Lightolller then suppressed panic and took control of all 30 survivors on the boat ensuring their safe passage onboard rescue vessel, RMS Carpathia. Lightoller wasn’t just a hero on the Titanic either. He served with the British Navy in World War I and World War II—helping soldiers evacuate Dunkirk at the latter. Conversely, Douglas Spedden was just 6 years old when his nurse got him off the Titanic and on to a lifeboat. Although the young lad survived, tragically he was killed just three years later. He was struck by a car in what was one of the first ever recorded automobile accidents in the state of Maine, USA. 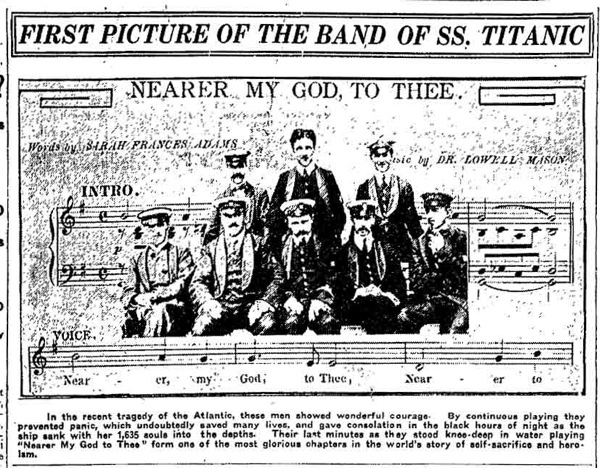 As the legend goes, the eight members of the all-male Titanic orchestra went down with the ship—still playing their instruments. Only three bodies were ever recovered, including that of John Hume Law. Shockingly, just two short weeks after the tragic events, Law’s father would receive a bill from C.W. and F.N. Black, the employment firm from Liverpool, England who had employed the orchestra. The bill was for 5 shillings and 4 pennies – the cost of Law’s son’s uniform. In stark contrast, at the Apollo Club in Brooklyn, New York, a month after the sinking, a concert was performed in memory of the ship’s orchestra. All proceeds went to the mourning families. Regardless of what you see in the movies, the White Star Line never made any claims that the Titanic was ‘unsinkable’. In fact, it appears that nobody really cared about the Titanic’s maiden voyage at all. 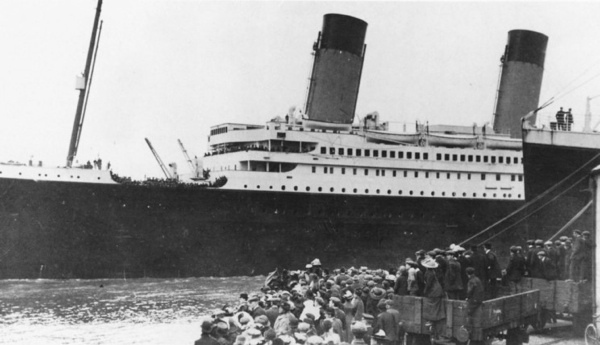 The Olympic—Titanic’s sister ship—was the one in the limelight when it journeyed from Southampton to New York in 1911. The truth is, there wasn’t even any footage of the Titanic leaving British shores and when the news wires realized they didn’t have anything to show in the picture houses once the tragedy struck, they used images of the Olympic instead, with any clear Titanic markings scratched off the reels. Some thirty odd years after the sinking of the Titanic, the publicity wing of the Nazi Party released Nazi Titanic, commissioned by none other than propaganda minister Joseph Goebbels. In an odd interpretation of the facts, Nazi Titanic tells the tale of a vessel attempting to cross the Atlantic in record time, in order to boast the White Star Line share price. 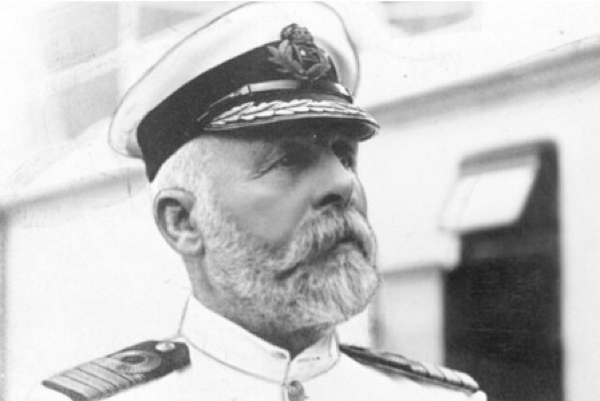 Whereas in real life the lookouts—Fredrick Fleet and Reginald Lee, both Englishmen—spotted the iceberg, in Nazi Titanic, the man who could have saved the ship from disaster was of course the German First Officer, who’s warning was ignored. Furthermore, in real life, J Bruce Ismay—the English chairman and managing director of the White Star Line—was vilified by the international press for stealing a lifeboat all for himself. In Goebbels’ retelling, he even managed to exaggerated this, depicting Ismay, of course, as a Jewish businessman who bullies the captain—again, a German—into ploughing through the iceberg and killing pretty much everyone on board (an act which James Cameron also has Ismay perform in his 1997 epic). Ismay’s story is perhaps the most butchered in any and all fictional accounts of the sinking. The true Ismay was anything but the selfish man he was painted as. During the British Inquiry Report of 1912, it’s leader Lord Mersey concluded that Ismay had in fact helped other passengers off the ship before he himself departed in the last lifeboat. Perhaps the stigma allotted to Ismay was the fact that he was the highest-ranking White Star official of all the 713 survivors.